The controversial application process for joining the Qalipu Mi’kmaq First Nation in Newfoundland and Labrador is over. Out of more than 100,000 applicants, 18,044 have been accepted as founding members of the band. , and another 10,512 who were originally members of the band and granted Indian Status, have been rejected. What stands out is that 10,512 who were originally members of the band and granted Indian Status, have been rejected. Kelly Anne Butler received her letter of acceptance in the mail but said she isn’t celebrating. “I feel terrible for being accepted,” said Butler about those who had their status taken away. The Qalipu band originally had close to 24,000 members. Of that number, only 13, 365 current band members will retain status. Butler has spent the last few days talking to people who are dealing with the trauma of losing membership, or families who are divided because some have been getting accepted while siblings, parents or relatives are denied. The Qalipu band was formed in 2008 with predictions for a band size ranging between 8,700 and 12,000 people. Initial concerns were that the Qalipu’s membership would be too small but by 2011, the concerns were focused on the credibility of the band as 104,000 applications flooded in. In an effort to whittle that number down, a supplemental agreement was put in place in 2013 and the applications were assessed again. 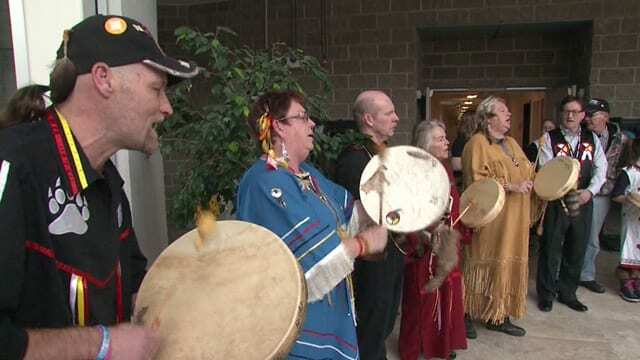 During the assessment, people either needed to prove they self-identified before 2008 or that they maintained a connection to Mi’kmaw communities in Newfoundland, through frequent visits home or phone calls. The biggest reason is for the rejections is people who live away and were unable to prove that substantial community connection. Only 1,000 people from out of province have been accepted. Todd LaSaga grew up in the Mi’kmaw community of Flat Bay, NL but his career in the military took him away. He’s retired now and lives in Nova Scotia and has been accepted as a founding member of the Qalipu band. Much of LaSaga’s daily cultural activity is tied to Mi’kmaq communities in Nova Scotia. But he is involved with his home community, volunteering to help with band administration. He goes home when he can. He had membership in the Federation of Newfoundland Indians; proof he self-identified as Mi’kmaq and had phone records to show he called home. A criticism levelled at the enrollment criteria has been that it ties identity to geography. Indigenous people can move from their home community and still retain Indian status and identity. Once Qalipu’s band list is finalized, those accepted members will gain or keep their Indian status cards and then the Indian Act rules apply. But the goal of enrollment has been to come up with a founding members list for the Qalipu band, in a process meant to mirror how Indian Act bands did it historically. The chief of a reserve would list who lived there. Butler says that doesn’t work with a landless band, in a modern context, where people move for work or other reasons. 20,000 people have been granted the right to appeal. But those appeals will be judged by what’s already on the record; no new information can be added. The deadline for a appeal is March 17, 2017. A decision on those applications will be made by the end of September. And the final list founding members list for the Qalipu Mi’kmaq First Nation will be confirmed by the spring of 2018. The MI’kmaq First Nations Assembly of Newfoundland is already gathering information for what it deems is an inevitable court battle. When Newfoundland and Labrador joined Canada in 1949, Indigenous people in the province were not recognized under the Indian Act. The formation of the Qalipu band was a way to correct that. With 18,000 members, Qalipu is now the second largest band in Canada.